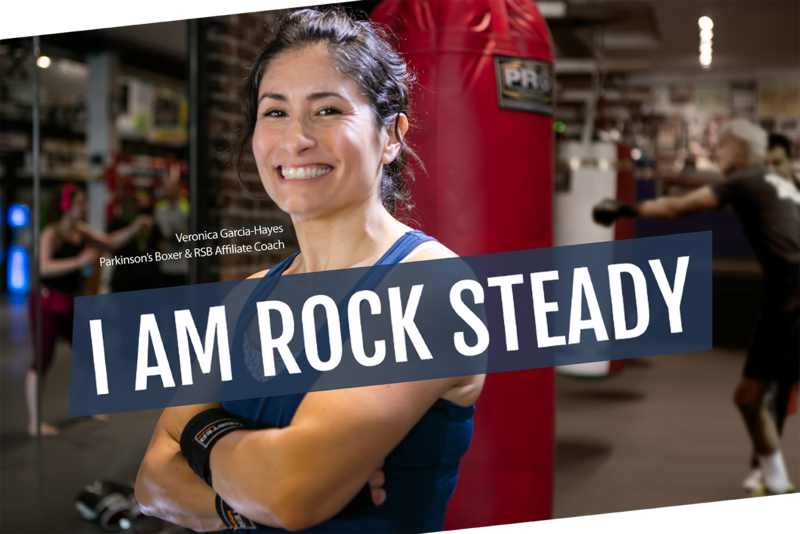 After running a successful ROCK STEADY BOXING program in New Westminster for three years, and recently founding IMPACT Parkinson’s Society, Head Coach, Robyn Murrell, says “I am excited to be able to help more people living with Parkinson’s by bringing ROCK STEADY BOXING ABBOTSFORD & FRASER VALLEY to Abbotsford in April 2019! I’ve seen firsthand how this program benefits people fighting back against the disease in more ways than one.” This is the first and only Parkinson’s specific exercise program located east of Surrey. Abbotsford is centrally located in the Fraser Valley and is easily accessible from surrounding communities between Langley and Chilliwack. “The Abbotsford Parkinson’s Support Group is happy to know that a Parkinson-specific exercise program will be offered locally,” says Carolyn Krahn, current Facilitator of the support group that meets the first Monday of each month at the Matsqui Recreation Centre. More information about support groups in the Fraser Valley can be found on Parkinson Society British Columbia website at www.parkinson.bc.ca. ROCK STEADY BOXING improves the quality of life for people with Parkinson’s through a non-contact boxing-based fitness curriculum. It is an accredited international Parkinson’s specific boxing program that has been researched and proven to help slow down the progression of the disease. Forced intense exercise like non-contact boxing has also helps to maintain balance, strength, mobility and activities of daily living. Rock Steady Boxing is recognized by Parkinson Society BC. Fee: $140/month (7-9 classes per month) Please note there will be no class on the first Monday of every month to accommodate the Abbotsford PD Support Group. Criteria: Initial Assessment Info: Rock Steady Boxing classes are divided into various levels based upon each person’s unique Parkinson’s symptoms and overall level of fitness. We require all potential boxers to complete a 90 minute assessment with our Coach to determine the class placement that would be of greatest benefit to them. Assessments must be done at IMPACT Parkinson’s in New Westminster #103-450 E. Columbia St. Please call Head Coach Robyn Murrell to book your assessment and discuss fees. Parkinson’s is the second most common neurodegenerative disorder after Alzheimers disease. The exact cause remains unknown although loss of dopamine in the brain is present in all cases of the disease. Researchers around the world are working tirelessly to find the cause and cure for Parkinson’s. There are approximately 100,000 (2008) people with Parkinson’s in Canada with approximately 13,000 (2014/15) in British Columbia. The average age of diagnosis is 60. Up to 20% of individuals with Parkinson’s develop symptoms before the age of 60. This is known as Young Onset Parkinson’s Disease. (Source: Parkinson Society British Columbia). What is IMPACT Parkinson’s Society? IMPACT Parkinson’s Society was created to make an IMPACT on the quality of life for people living with Parkinson’s, and their families and friends, by offering programs that focus on mind, body and soul. The Society received Incorporated Non-Profit Society status on January 13, 2019. Opened on March 19, 2018, IMPACT Parkinson’s Society is the first of its kind in British Columbia where it provides a centralized, accessible and dedicated space to host a variety of beneficial Parkinson specific programs. Clients come from as far away as Chilliwack to participate in the programs. In addition to the core program of Rock Steady Boxing New West, others offered are Let’s Talk Loud Group Voice Therapy, Yoga, T’ai Chi, workshops, special events and social activities. You can reach IMPACT Parkinson’s via email at parkinsonswc@gmail.com.